Otta phyllite is a dark variety of phyllite rock. Otta has been used for many exclusive projects such as Cartier shops and Porsche showrooms all over the world, the Van Gogh museum in Amsterdam, the Scandinavian Golf Club in Copenhagen, the Boston Public Library in the USA, the Tautra Mariakloster monastery, Norsk Hydro, the Munch museum, Henie-Onstad Art Centre, Oslo Airport, Gardermoen and the Jewish Museum in Berlin. Otta phyllite is unique amongst schist varieties found anywhere else in the world. Among its characteristic features are the rosettes of black amphibolite crystals and the small crystals of garnet. 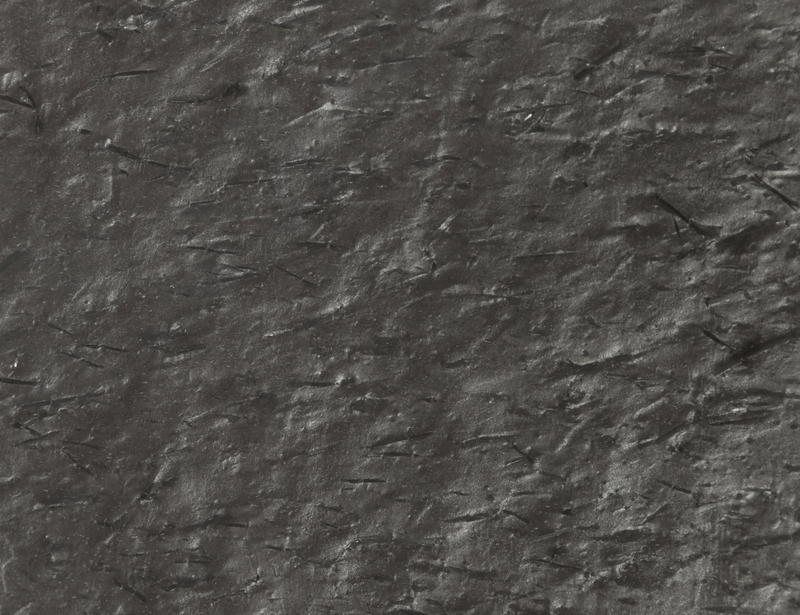 The mica in Otta phyllite and the play of colours give it a unique look and make it ideal for use in prestigious public and private buildings. It is ideal for use on roofs and external walls, and also as an interior stone for flooring and wall covering in rooms of all kinds. A hard-wearing surface which, when used outdoors, gradually acquires a golden patina. Used indoors, the natural stone will retain its dark charcoal/black colour. 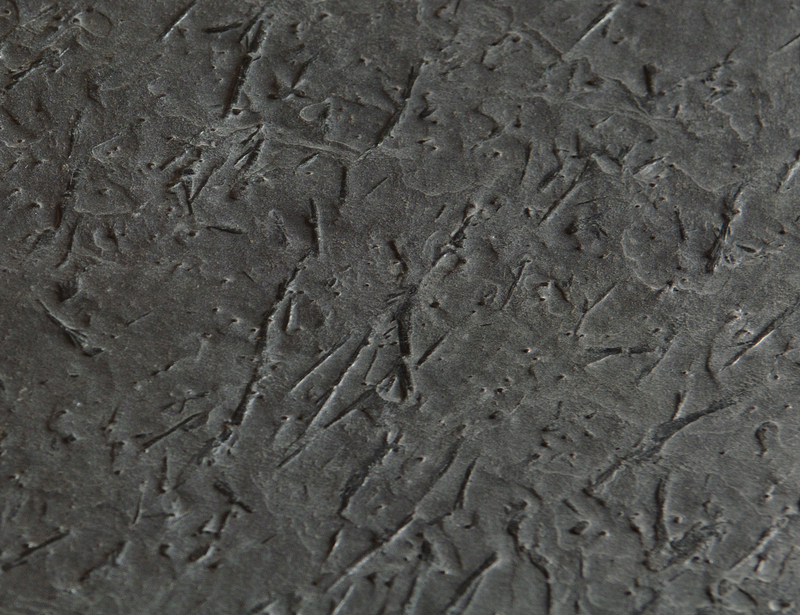 A fairly smooth surface that highlights the needle-like crystals of hornblende to give a three-dimensional appearance. A completely smooth and high-gloss surface. 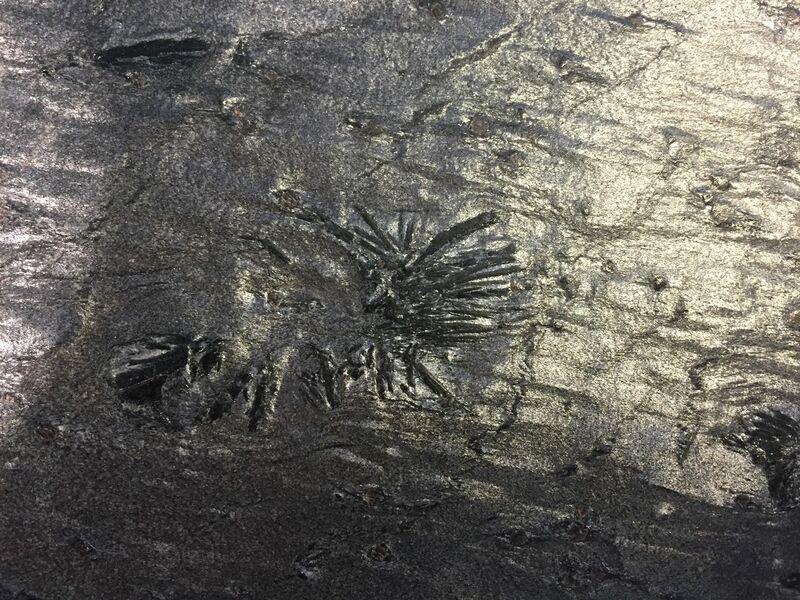 The needle-like crystals of hornblende produce a distinct three-dimensional appearance. Rust colouration is found only in the upper levels of the quarry, where small quantities of pyrrhotite are encapsulated in the mica, and where the stone has been subjected to millions of years of erosion. 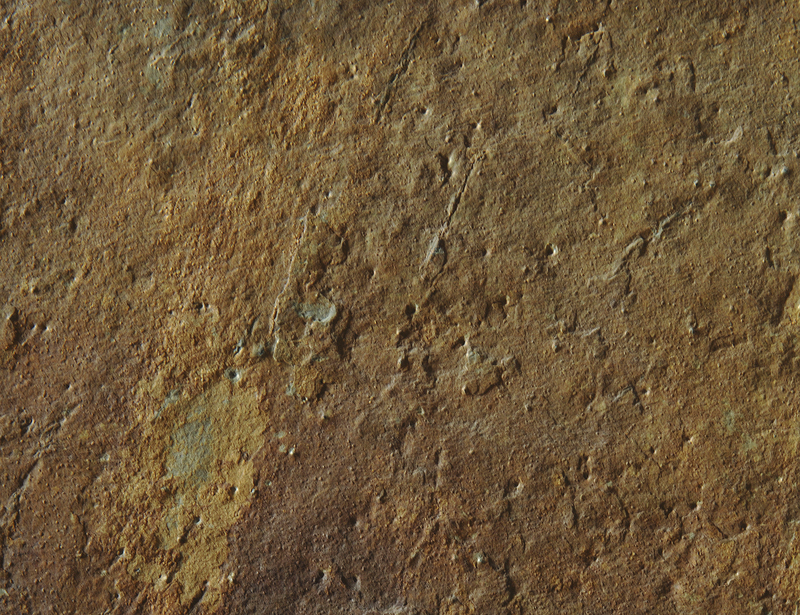 Natural stone with this finish is therefore available only in limited quantities. It is only available in a natural surface finish. A hard-wearing stone for both interior and exterior use. The hornblende needles in FROST spread like ice crystals. The stone surface has different orientations depending on how the light falls on the surface. 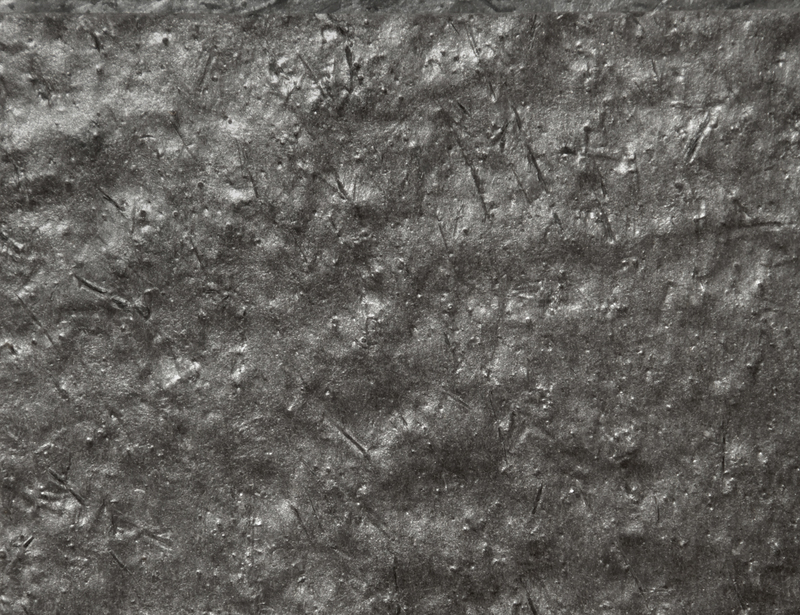 The brushed surface gives a smoother surface and the stone obtaines a three dimentional, silky and shimmering look. Schist has inherent natural qualities that give it a unique appearance, and that can also be processed according to where and how the schist is to be used. The edges can be given different appearances. The edges can be broken, rough broken, guillotined or sawn. They can be edge-finished in various ways, like brushed, honed, rounded and bevelled. The natural stone is sawn, which produces a smooth, right-angled and precise edge. 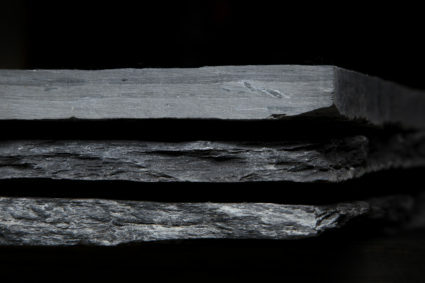 The edge is a lighter colour than the surface of the slate. The stone is scissored using a slate guillotine, resulting in a relatively smooth, slanting and rustic edge. The edge is not worked, but left untouched – as nature made it. It can have various colour nuances and there may be variations in coarseness and regularity.